With Fox continuing to lay the building blocks for their X-Men cinematic universe, one of the most important pieces of the puzzle appears to be Deadpool 2. 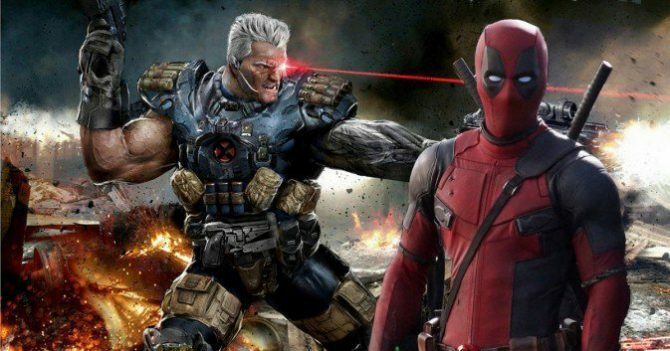 After the wildly successful first film, expectations for the sequel to deliver are huge, but more importantly, perhaps, is its role in the lead up to X-Force. Given that both the Merc with a Mouth and Cable are set to feature heavily in the aforementioned flick, David Leitch’s upcoming sequel will no doubt be planting many seeds for it, and as such, seeing who Fox chooses to play the time travelling mutant promises to be quite exciting. “They’ve got X-Force coming up. Cable is head of the X-Force so it’s someone who can also command a movie franchise. It’s a tall task and we have been on the hunt for a very long time. I think once it’s announced, as we get closer, people are gonna go crazy for it,” said Wernick. That’s not the first time that we’ve heard the casting of Cable will have people going crazy, so we certainly hope that whoever’s chosen to bring the character to life is able to live up to the incredible amount of hype being generated. Given what we saw in Deadpool though, we’re not too worried. In related news, LRM spoke with the sequel’s writers as well and got them to open up about some of the other familiar faces set to feature in the film. We haven’t heard too many specifics on who else will be showing up just yet, but we should expect to see “some more obscure” characters, according to Reese. So, from the sounds of it, there’s a ton to look forward to from the film. Though some production troubles spawned concern early on, things are certainly back on track and we’ve no reason to think that Deadpool 2 won’t be every bit as good as its predecessor. The promo we got with Logan may not have been fully indicative of what we’ll end up seeing, but as long as the team can re-capture that dark and irreverent sense of humor from the first outing, not to mention nail the casting of Cable, then things should turn out just fine.